Obituary – McCracken, Jerri Pat « Perry High School Alumni Association, Inc.
Miss Jerri Pat McCracken, 21, 1314 Fir avenue, was killed near Morristown, N.Y., in a traffic accident at 1:10 a.m. Monday. She had been in New York for about two weeks visiting a friend, Miss Janet L. Smith, who was also killed in the accident. Funeral will be at 2 p.m. Wednesday in the First Baptist church. Rev. H. E. Alsup, pastor of the church, will officiate and burial will be in Grace Hill cemetery under direction of Newton funeral home. The body will lie in state at the funeral home Tuesday evening and will not be opened at the church. 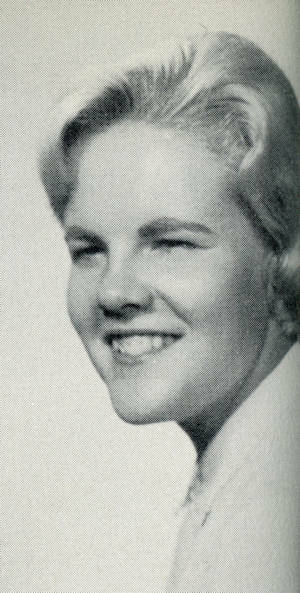 Miss McCraken was born June 1, 1944, in Perry, and graduated in 1963 from Perry high school. She was a member of the First Baptist church of Perry. ﻿Survivors include her mother, Mrs. Bill Smith of the home address in Perry; her father, Wendall McCracken, who is employed at Hennessey and lives in Augusta, Kan.; two sisters, Mrs. Janice K. Dolezal, of Libya, North Africa and Rebecca Smith, Perry: her grandmother, Mrs. T. S. McCracken, Perry; and her grandfather, L. P. Klinglesmith, Helena.